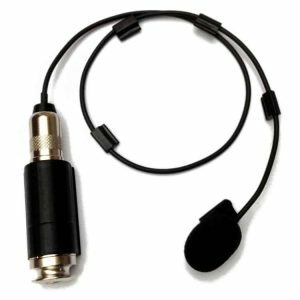 The Ischell contact microphone has become a reference for gypsy jazz guitars, known for its fidelity to the acoustics of the instrument, feedback resistance and ease of use on an amp. 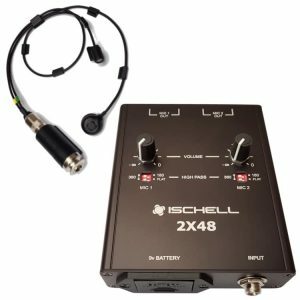 The J48C is particularly appreciated for its operation on phantom power and its balanced output. 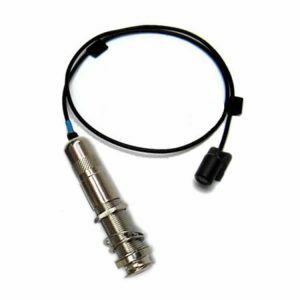 It can remain installed permanently on the instrument while remaining removable. Those who want an unbalanced mono jack output can take the 9v battery option (the battery goes inside), or choose the inside BOX + CPJ. 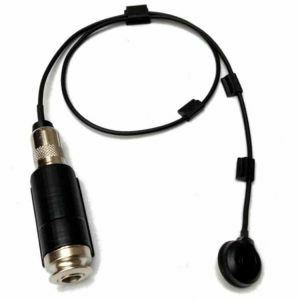 The AirCapt air microphone is generally used in addition to a contact microphone. 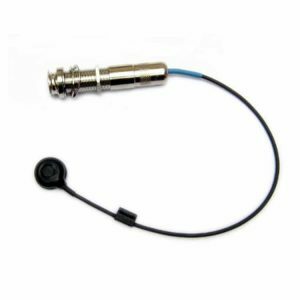 It is a very small microphone designed to be placed closer to the sound source for more gain, less feedback and ambient sounds. 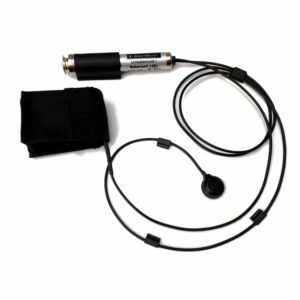 Particularly suited to acoustic stages, it faithfully and very naturally reproduces the sound of your instrument with precision, dynamics and allows comfortable levels on stage without microphone stand. It is usually placed outside, at the edge of the soundhole, treble side, pointing upward or sometimes it have very good results inside (mostly for the small soudholes). The J48C is appreciated for its operation on phantom power and balanced output. 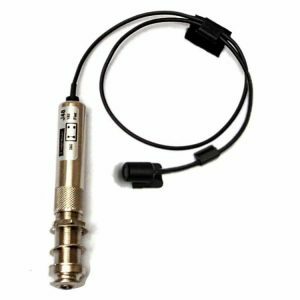 It can remain permanently installed while remaining removable, the instrument becomes autonomous with its system ready to function. 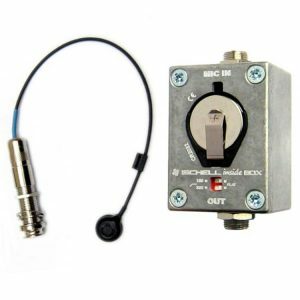 Those who want an unbalanced mono jack output can take the 9v battery option (the battery is installed in the guitar with access through the soudhole), allowing both operation modes, balanced and unbalanced. The inside BOX + CPJ is another possibility. It remained the most sold model in this category for a long time but was replaced by the new J48C. An installed version exists for these two models. The J48C is a removable version. 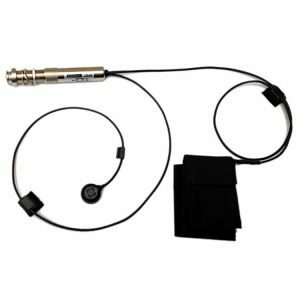 The jack is placed on the side, at the bottom of the neck and the microphone is placed generally under the strings or beside. 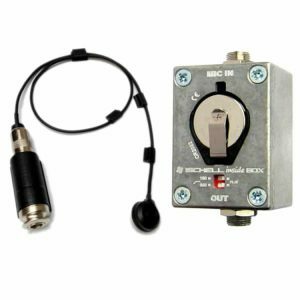 This system can be powered by phantom power and provide a balanced signal with a Jack-stereo / XLR cable. 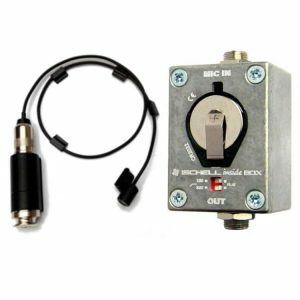 It can also work with a standard mono jack cable with the 9v battery option, it is then powered by the 9v battery automatically for about 500 hours of use. The battery does not discharge in the presence of phantom power. The inside BOX + CPJ, appreciated for its operation on battery and its output Jack, but also because it is removable. However, the microphone kit can be permanently installed on the instrument. 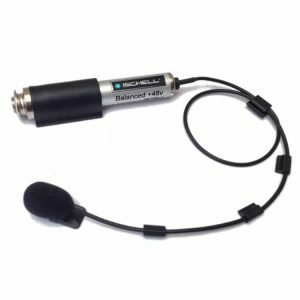 The combination of the two types of microphones is complementary for an instrument playing on high level stages and optimizes the sound in all situations by combining power and respect of the acoustic sound of the instrument. 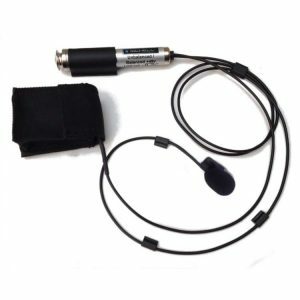 The contact microphone gives you the power for the front and in the monitors, high accuracy in bass and midrange, dynamics … The air microphone brings you the reverberations of the instrument, player details, the air, the finesse in the trebles. For situations that require high levels on stage and front and to have an acoustic sound, faithful to the instrument. 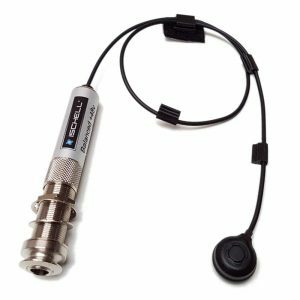 N°1 : The J48C is the most sold in this category, removable version, particularly appreciated for its fidelity to the instrument combined with the advantages of the contact microphone. 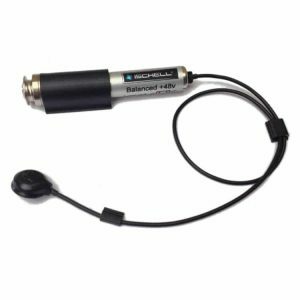 Balanced jack output with a Jack-stereo/XLR connecting cable. Balanced connection allows the use of phantom power. The battery life is 500 hours. With presence of phantom power, it does not wear out. 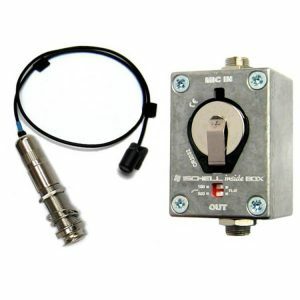 The Ischell Inside Box + CPJ is a really fantastic system for gypsy jazz guitar amplification. I’m really blown away by the natural sound that the microphone produces through my Fishman amplifier. There is no feedback problems now that I have applied the putty correctly, I’m looking forward to playing loads of gigs with my trio! Hallo! 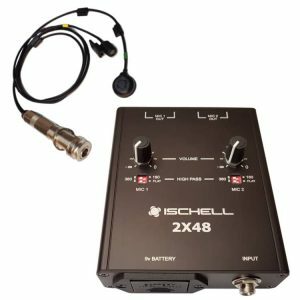 I recently bought an ischell inside box mic pickup for my gypsy guitar. I love it! Thank you so much. You did a great job. We played a huge show last night and the sound was amazing. Just plugs right into a fishman amp with no effects. Couldnt ask for anything better!